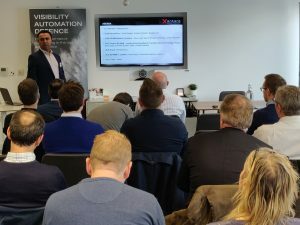 On March 7, ISPA was pleased to host its first members' technical workshop of 2019 on SD-Wan for Service Providers. Held with Juniper and Xantaro, the fully booked session featured a series of enlightening presentations from Juniper and Xantaro and finished with networking drinks. A busy month on broadband policy has seen ISPA respond to DCMS’s Statement of Strategic Priorities to Ofcom, setting out the Industry’s view on how the future market should be regulated. We will be continuing our campaign on telecoms business rates contributing written evidence to the Treasury Select Committee and looking forward to the next subgroup meeting which will include a workshop with the head of DCMS’ Barrier Busting Task Force, Pete McDougall. In March, ISPA convened a group of prominent industry experts and representatives from Government and regulators for a workshop to discuss emerging issues related to online safety and cyber security. ISPA will continue to work closely with key stakeholders over the coming months to ensure that these issues are addressed and that our members’ voices are heard. What is next for business broadband? How can barriers to broadband roll out be busted in a collaborative way?How should ISP respond to DNS over HTTPS by default? / Is DNS over HTTPS going to lock ISPs out of their networks?There will be also Q&A with Openreach, presentation from Point Topic, Salumanus and netgem.tv. ISPA members can claim one free ticket per company, please contact admin@ispa.org.uk to reserve yours. Tickets can be purchased in the button below. Thank you to all who submitted their entries for the 21st annual ISPA Awards. We received exceptinally high number of entries and the shortlist will be announced on 25th April. The ISPA Awards ceremony is one of the highlights of the ISP calendar for our members where you can meet all your peers and celebrate another successful year in style. This year we are back in fabulous art deco ballroom of Sheraton Grand Park Lane Hotel on Piccadilly in London. Tickets are now on sale through the button below. The gala includes networking drinks reception, a three course meal with wine, awards ceremony hosted by a famous comedian and live band to finish off the proceedings. You can buy individual tickets or get a discount if you book a whole table (for 10 people). Email awards@ispa.org.ukif you are interested. 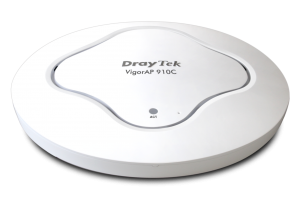 The Vigor AP-910c is a high specification professional access point that ensures reliable and flexible coverage to all manner of applications. A vast array of security and management features helps the AP-910c improve and protect the integrity of your wireless LAN and VLAN support allows isolation of Guest WiFi. The VigorAP-910c provides unobstructed coverage and blends aesthetically into any home or office environment thanks to its shape, size and hidden cable entry. It is ideal for adding wireless connectivity to an existing LAN, or for expanding the range of an existing wireless LAN by using the WDS repeater features. ISPA welcomed Host Media, who joined as members in March. Since 2008 Host Media has been dedicated to providing high quality, reliable and award winning services at a great price. With hosting locations and customers around the world, Host Media is a truly global service provider. This month ISPA is partnering with Connected Car Summit on 24th and 25th April and IoT Tech Expo Global 2019, taking place on 25th and 26th April. The other events that ISPA is a media partner of are Intelligent Automation and AI In Insurance Europe 2019 in May, for which ISPA members can get £100 discount; and Connected Britain in June, with 15% discount to our members. For all partner events details and exclusive discount codes for ISPA members, please visit our website.